The quality control materials comply with the latest ISO Guide 35 definition of the Reference Material. They are primarily intended for quality control of the automated analysers. 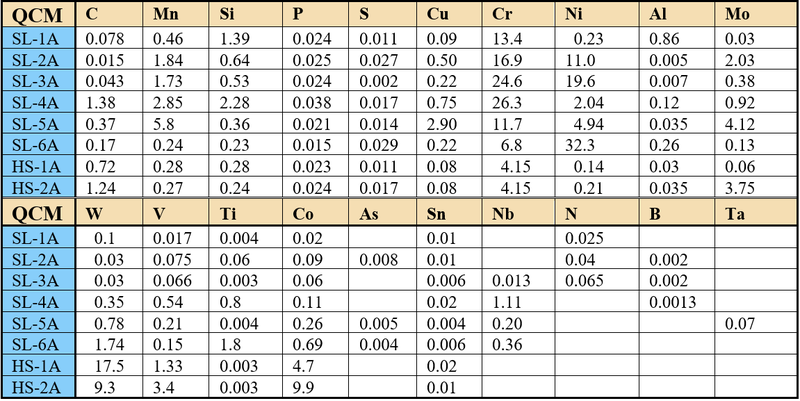 The current four flexible sets of low alloy (LA), alloy (SL, HS), special (SP) and custommade (CM) steel QCM for spectrometry cover a broad range of elements/concentrations relevant to the contemporary steel production. The combination of the individual QCM may be tailored to fit for any particular task of the spectrometric steel analysis.